As I'm sure you all probably know by now, I'm a big fan of Real Techniques. I wasn't keen on their Bold Metals collection but when it comes to their original line, I can't get enough. With this being said, when I heard they'd released a new set of brushes called the 'Sculpting Set', I knew they had to be mine. The set includes three brushes and they all have a pretty Pink metallic finish, just like the Stippling, Blush and Setting brushes from the original line. 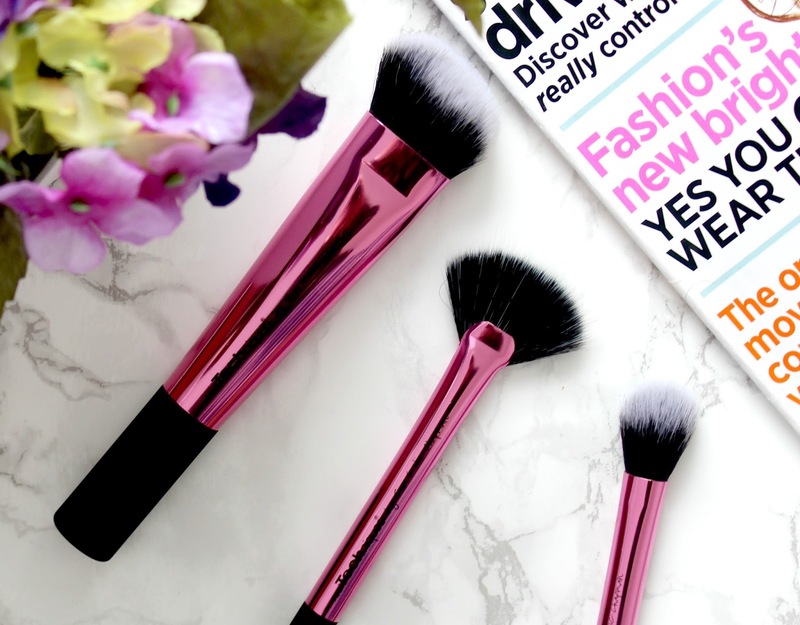 As the name 'sculpting' states, these brushes have been designed with the intention to help define the face and most of them can be used with contour and highlighting products which is the main way we give our face some definition. The three brushes include the Sculpting brush, the fan brush and the setting brush. The Sculpting brush has a wide angled shape and dense bristles. It can be used to contour the cheekbones and create a defined line or it can be used with a liquid foundation to buff the prod it's in to the skin. I haven't used it for the latter yet but I think that's how I'm most likely to use it as I feel it's a little dense and too chunky to create a precise contour. Nonetheless it's s lovely brush and one I'll get a lot of use out of. The Fan brush is exclusive to this set and although I've never really understood the need for these kinds of brushes in the past, since using this, my opinion has changed completely. I've been using it to lightly dust highlighter over the tops of my cheekbones and because the bristles are light and wispy, it applies just the right amount of product to the skin. It could also be used for sweeping fallen eyeshadow from under the eyes or even for a very light contour as the thin shape allows you to add product with precision to specific areas. Finally, the Setting brush is one I already own but one I really, really really love. As you would imagine from the name, this brush is amazing at setting products on the skin, especially under eye concealer and highlighter. 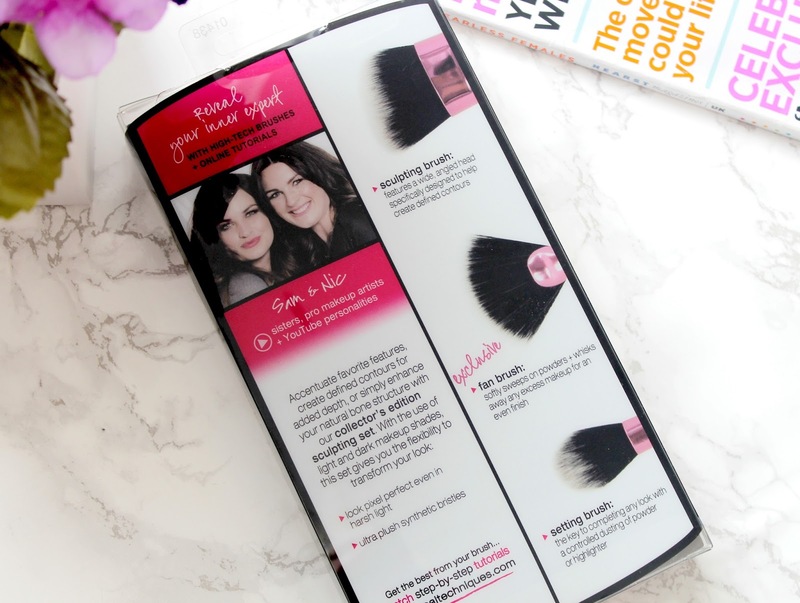 I like to use it with a MAC brightening powder under my eyes after using my concealer as the small size and shape of the brush allows me to get into all the hard to reach areas. It's also great for any precision work needed around the nose and again, it can also be used to contour with. Overall I think this is a brilliant little set from Real Techniques as there isn't one brush I won't get a lot of use from. I love how they can all be used for different reasons too so you can really play around and see what works best for you. 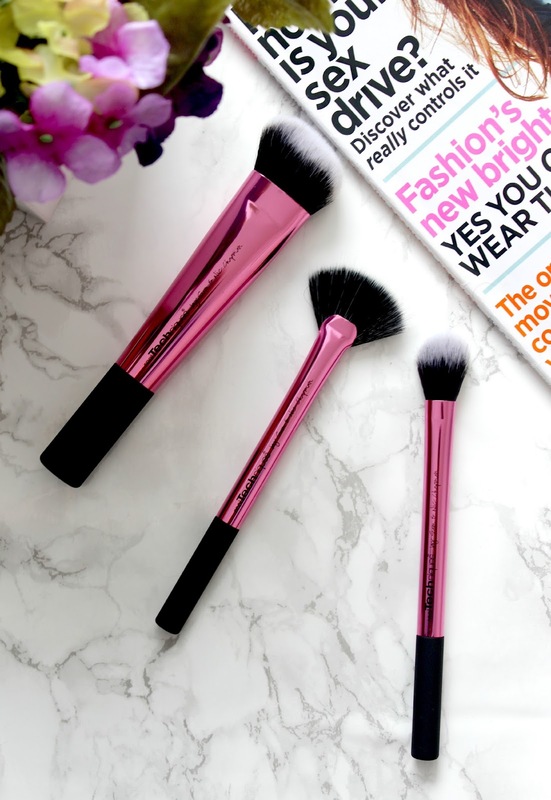 If you love contouring and highlighting your face like I do, these brushes are definitely worth trying out and they're available to buy here for £20.99 which works at just less than £7 per brush! Do you like the look of these brushes? I am a very big fan of the Real Technique brushes. They are such good quality and look beautiful. This set looks beautiful, I love the chrome handles! I really don't need anymore brushes, but this do look lovely. Even just for the pink! I need every single one! Real Techniques has some amazing brushes! Worth the price! I've been eyeing these up for a while now, I may just have to get them! This sounds like such an amazing set! I still haven’t picked up this set. But I will! Love the Setting Brush, although not so sure of the shiny finish on these brushes compared to their usual sleeker matte look. Omggg that set is PERFECT. Definitely going to pick this brush set up. 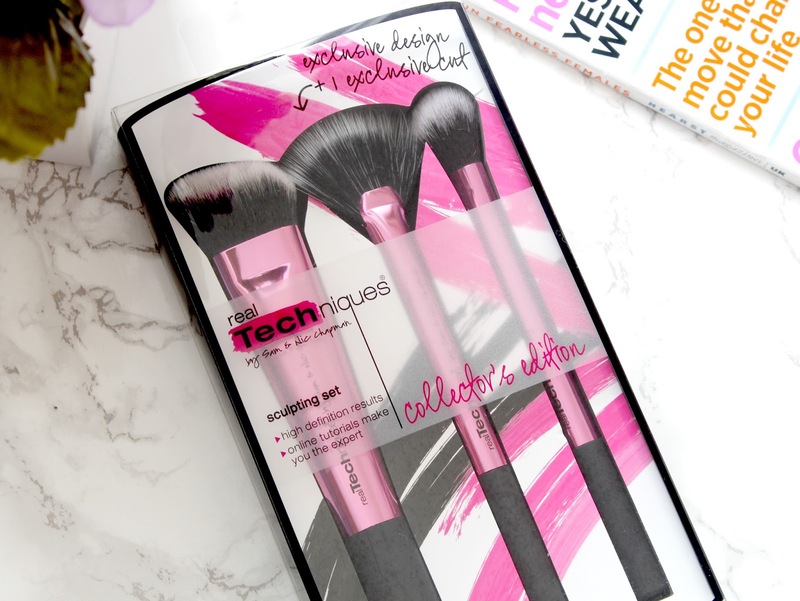 I love the real techniques brushes! Have you ever had trouble with the rubber on the ends though? I took mine out of their cup one day and they looked like they had melted. I still love them and use them all the time I'm just wondering if I did something to mine. These look great - definitely need to get my hands on them! 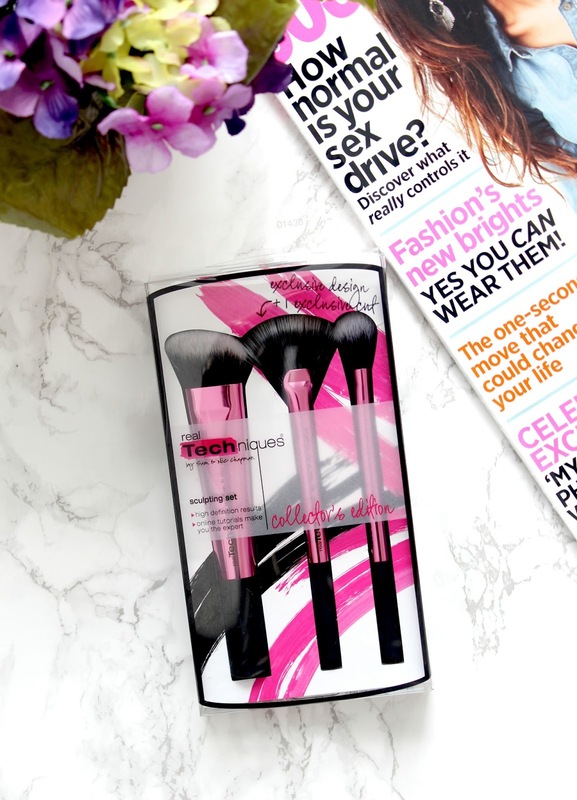 I got the triangle foundation brush from the Bold Metals collection but really didn't like it! Amazing! 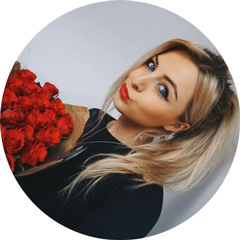 I found these Real Techniques brushes online at iherb, this page has it all: CLICK HERE, And they ship almost everywhere!